[W]ork . . . will be needed to care for the poor broken survivors . . . there will not be the excitement of preparing for a convoy of wounded, or of passing through a casualty clearing station the large numbers of recently wounded. There will not be the interest of foreign service or the tension of the submarine danger on transport or hospital ships, but . . . there will be the daily care, week in and week out, of the helpless, injured, incurable ones, the phthisical cases so hard to manage, and to bear with, the nerve cases so fractious and despondent. The Ruahine was just one of several vessels that brought sick and wounded New Zealand soldiers home from the war, along with the medical staff who had cared for them.2 Some of the wounds were obvious — mutilated faces, missing limbs, bandaged heads — but many more, in patients and carers alike, were hidden: the cumulative effects of years of inconceivable stress, fear and horror, added to apprehension about what lay ahead. On 22 August 1918 the troopship Tahiti, carrying the Fortieth Reinforcements from New Zealand to Britain, called at Freetown in Sierra Leone. The second wave of the virulent influenza was raging in the port,5 and although no troops or crew were permitted to go ashore, locals came on board to coal the vessel. The damage was done. By the time the ship reached Plymouth, hundreds of men had reported sick and almost 80 had died. Another nine, including 31-year-old nurse Esther Tubman, who had enlisted in June after working at Featherston camp, where she ‘had endeared herself greatly to the staff’,6 lost their lives soon afterwards. They were the first New Zealand deaths in the pandemic. On 27 August, the day after the Tahiti left Freetown, Rifleman Marcus Hansen noted in his diary, ‘An epidemic of influenza seems to have broken out on board.’ By the following day, ‘The sickness is going around the ship very rapidly and every available bit of floor space is being converted into a hospital . . . [T]o see big strong men just bowled over and hardly able to walk . . . is quite pitiful.’ On the 29th there were 200 or 300 more on sick parade, ‘and the nurses and doctors have their hands full’.7 The former, led by Bessie Maxfield, immediately ‘set to and did all we possibly could. Unfortunately for us, our P.M.O. was one of the first to go down. Next morning we sisters had to attend the sick parade and help get through the companies of sick men.’ A second MO soon collapsed, though both later recovered. Nurses, too, became ill. About seven days after the outbreak, ‘our cases began to suddenly grow worse and die’. They responded to no treatment whatever — stimulate and nourish them as we would — they went downhill rapidly, and this was the worst time of all. To see the poor boys die on our hands, one after the other . . . It was hard for us to see them go, but harder, I think, for their mates. Such a number of them were quite lads, [aged] about twenty. Having no lights on the decks made it twenty times harder for us, and one night almost every way we turned we found men, who a few moments before had seemed fairly well lying in a collapsed condition, dying about an hour later. By the time Matron Mary Early was writing from the Aotea Convalescent Home at the beginning of March 1919, she and many others still serving overseas had heard what was happening at home. ‘[J]udging from the sad news in . . . papers coming to hand New Zealand has been a sadly unhealthy country lately. What a dreadful scourge influenza has been in our fair land! We are only now getting full details of the terrible time you must have gone through.’14 As ‘N.Z.M.C.’ would write in the New Zealand Herald in February 1920, ‘our boys were appalled when the casualty lists from New Zealand reached them in letters from home, and they could hardly believe that the infection was identical in the two countries’.15 Too often, the loved ones they had been forced to leave behind, and had dreamt of seeing again, had died. Ulrich, who had come home on the Ionic in August, later became sick himself but recovered, as did William Will, who was working at Christchurch Hospital.20 Other medical men were not so fortunate. On 15 November 1918, 28-year-old Major Aubrey Short, who had served overseas and been mentioned in despatches and awarded the Military Cross, died of influenza in Christchurch Hospital. For Winifred Muff, halfway through her nurse’s training, Short was ‘a favourite house surgeon’.21 Colonel Mathew Holmes, who had led the medical contingent to Samoa in August 1914, served in Egypt and France and become ADMS in Wellington, had battled ill-health before returning home in February 1918. He lost his life to influenza in the capital on 15 November. As Rice has observed, their concentrations of large numbers of men in the susceptible 25– 45-year age range made New Zealand’s military camps ‘among the most dangerous places to be during November 1918’. More than 280 died there. Carbery had only admiration for the NZMC personnel, ‘depleted by sickness and death in their own ranks, [who] wrought unceasingly with splendid devotion’, and for the ‘quiet heroism’ of the combatant volunteers ‘in their unwonted terrible and dangerous work’.22 Captain Allan Christie, who had been with the RAMC, then joined the NZMC as a surgeon, had suffered numerous health problems during the war, including pleurisy and tuberculosis. This history cannot have helped him when he went to Featherston in July 1918; he died in Greytown Hospital on 9 November. Not all the fatalities were male. On 10 November, 34-year-old Sister Mabel Whishaw died of influenza at Featherston. She had been on the military hospital staff for three years as night sister, and ‘was a most capable and devoted nurse’. Her mother, Catherine, had lost two sons in the war: Harry was killed at the Somme in 1916 and Bernard died of pneumonia only a month before his sister.26 On 25 November, 26-year-old VAD Corale Lumley died, also at Featherston. Under the Defence-run system, men went from their ships to Trentham, where their medical needs were assessed before they were dispatched to the appropriate institution for treatment. An orthopaedic case, for example, would be sent to the ‘special massage and electrical department’ in Christchurch’s recently opened Chalmers Military Hospital (which boasted ‘all the latest improvements of baths, plaster departments, and everything used in the re-education of muscles and limbs injured in the war’ and offered ‘really up-to-date teaching in the latest methods’ of massage),40 to an enlarged Trentham Hospital, to Rotorua’s King George V Hospital (which was extended to become, by 1920, a 300-bed orthopaedic hospital),41 or to Dunedin Public Hospital. Tuberculosis patients were treated in the sometimes too invigorating hilltop air at Christchurch’s Cashmere Sanatorium or the Pukeora Sanatorium near Waipukurau, opened in September 1919. Heart problems meant a stay at Featherston or Auckland’s Narrow Neck hospital. Pickerill continued his reconstructive surgery in Dunedin after returning to New Zealand, and Hanmer flourished as the specialist centre for men with neurological and psychological problems. ‘What more lifting place,’ asked the Sun, ‘for the nerve-shattered . . . warrior to recover his lost vitality?’42 The permanently incapacitated men designated as ‘incurables’ found their way to convalescent homes: Evelyn Firth in Auckland, Rannerdale in Christchurch and Montecillo in Dunedin. Tuberculosis, then incurable, often fatal and greatly feared, also cast a long shadow over the lives of a number of veterans and their families.52 Many men had unwittingly carried the symptoms of tuberculosis with them to war, and the cramped and often unsanitary conditions of trench warfare, overcrowded troopships and packed military hospitals ‘undoubtedly facilitated the transmission of the bacilli, awakened “old tubercules” in soldiers’ lungs, and accelerated the progression of TB to the active stage’.53 Returned men with tuberculosis were separated from their families by being sent to a sanatorium, or, if living at home, had to sleep alone, use separate cutlery and, worst of all, avoid intimacy with their wives and children, for fear of transmitting the disease. Tuberculosis also caused difficulties with getting pensions, because of uncertainty over whether it was contracted during the war, and men’s ability to work. 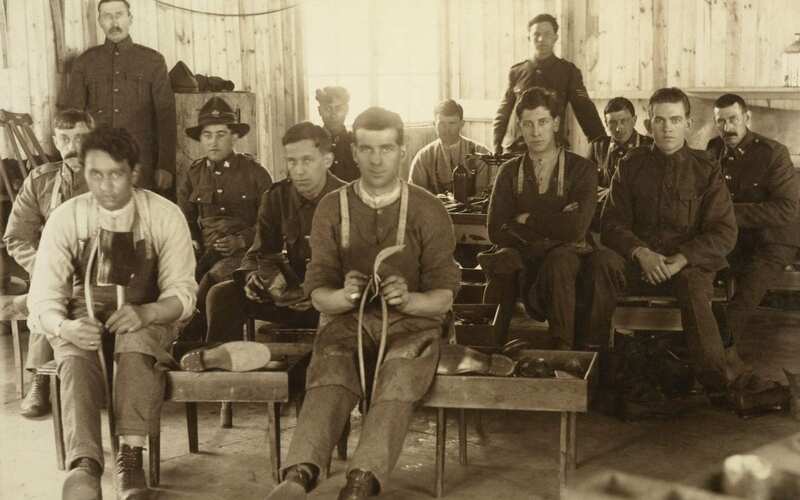 Rehabilitation had been a large part of the treatment at the New Zealand hospitals in Britain, and classes for sick and wounded men were held during the voyages home. On the Ruahine, English, mathematics, economics, commercial law, bookkeeping, shorthand and motor engineering had been on offer, along with lectures on poultry keeping.54 This mixture of occupational therapy and vocational training remained a significant part of recovery at home, as James Allen explained in September 1918. What he called ‘functional treatment’ — ‘basket work, leather work, wood carving and so on’ — was ‘fairly well developed’ in the hospitals. There was ‘a certain amount of gardening work in some places’, and Rotorua was ‘establishing workshops for wood-turning, metal turning, electrical work, motor engineering, plaster-casting, splint-making, etc.’.55 Less taxing farming jobs such as beekeeping and poultry farming were taught to veterans with TB or chest problems at a state training farm set up on the site of the former Tauherenikau camp between 1919 and 1923.56 There were other such farms, also run by the Repatriation Department. Sick and wounded returned men needed medical treatment, which was free, and then financial support in the form of a pension and assistance with finding suitable employment. This process, however, was frequently neither smooth nor problem-free, despite the fact that war disability was ‘perceived as a more terrible and heroic experience’ than its civilian counterpart, and therefore more deserving of expert medical treatment.59 Reliant on pensions that were sometimes difficult to acquire, and often unable to work, such men struggled even more — and were less regarded as special cases — when economic depression hit the country from the 1920s. Nurses, too, had trouble with boards. Edith Austen was discharged in April 1919, when all she had wanted was two months’ sick leave to ‘rest quietly’ before returning to work. ‘I am only suffering from war strain and am really a very strong person.’ When Marquette survivor Mary Grigor was boarded on 30 May 1919, she was not examined ‘in any way’ but asked whether she wanted to be discharged and then marked fit for duty. Although she felt ‘quite well’, a medical board in England had decreed that she would be unwise to nurse for a minimum of a year. ‘I do not in the least mind working again if it is safe to do so, but I would very much like to first of all be overhauled by . . . someone who knows something of Chest troubles.’68 Hester Maclean fought hard for the women to be ‘treated in the same way as soldiers of similar rank’, finally, in August, convincing the authorities to send her all nurses’ medical board proceedings. At the end of 1919, many nurses were ‘still retained in the service and their posts’ at military hospitals and convalescent homes. At Trentham, for example, Samoa veteran Vida MacLean had a staff of 63 NZANS nurses; Bertha Nurse, the matron at Rotorua’s King George V Hospital, was managing eight. Isabella McRae, in charge at Christchurch’s Chalmers block, oversaw 24 women. Eva Brooke, who had served first in Samoa, then on the Maheno and the Marama and in military hospitals overseas, was matron of the Military Convalescent Hospital at Narrow Neck in Auckland.72 In 1921, the year after she was demobilised, this remarkable woman, the only New Zealand nurse awarded the Royal Red Cross and bar, became matron of Christchurch’s Rannerdale Home for disabled veterans. Coming home was often no easier for the doctors, nurses, vets, stretcher-bearers, orderlies and ambulance men than it was for their former patients. Lieutenant-Colonel Charles Thomas did not return to New Zealand, but he had been worried about the future. ‘How I am going to make a living when I come back I don’t know,’ he wrote to his wife Milly from Gallipoli only three weeks before he was killed. Nurses were officially included in the land settlement scheme aimed at putting returned soldiers on farms of their own, but only after a legislative change.88 Ellen Schaw was one of just a half-dozen or so nurses who seem to have applied. According to a newspaper report, she was ‘the first woman in the Wellington district, and probably in the Dominion’, to obtain land under the Discharged Soldiers Settlement Act.89 After being invalided for some months on coming home, she ‘got the very section she wanted’, 4 acres at Cloverlea near Palmerston North, in a soldiers’ land ballot. She began with ‘one cow, horse and trap, three chickens, three cats, one dog’. A few months later — as soon as the fowlhouse could be built — she was planning to start a ‘little poultry farm with more fowls, and also getting more cows. Fruit trees are also to be planted.’90 In 1925 Marquette survivor Edith McLeod applied for a 105-acre block at the Hikutaia settlement near Opotiki that had been abandoned by its returned soldier owner and turned it into a profitable concern, fulfilling the prophecy of a member of the Land Board in Gisborne, who considered that ‘the lady would make a very capable farmer’.91 A few nurses, including Annie Buckley, who had left on the Rotorua in 1915, learnt beekeeping and horticulture at the Ruakura Government Farm and were given a small living allowance. There could be a lack of appreciation and understanding when medical personnel came home. On 11 March 1919 the New Zealand Herald published a letter headed ‘AMBULANCE MAN’S COMPLAINT’ and signed ‘Stretcher-Bearer. N.Z. Medical Corps, Rotorua’. Since reporting to the hospital a few days before, ‘after considerable service in the field’, the correspondent had been ‘surprised and not a little disgusted to observe the attitude taken by people in this town towards men of the N.Z.M.C.’. Words such as heroism and sacrifice are used too frequently and too easily, especially about the First World War. There was no glory here. As medical historian Leo van Bergen has written, ‘War is about everything, but above all it is about killing and being killed.’97 It is, too, about being wounded, often horribly or repeatedly, and about debilitating illness, disfigurement and psychological trauma. But war is also about courage — the courage to continue working, in appalling, perilous conditions and for inhumanly long hours, to save lives — and it is about compassion. Even for trained personnel, this was a terrible new world. Doctors used to treating patients in comfortable rooms, and surgeons accustomed to operating in sterile, well-organised theatres, found themselves in trenches and dug-outs, often under fire. Men who had been clerks or shop assistants or students or farmers found themselves staggering through deep mud carrying stretchers while trying to dodge snipers’ bullets. Nurses who had staffed calm, organised wards found themselves in crowded tent hospitals full of severely hurt and dying men with stinking wounds and shattered limbs. As soldier poet Siegfried Sassoon rightly said, it was hell, and the brave, skilled and caring New Zealand medical personnel who went through it with the troops must, like them, never be forgotten. 1 New Zealand Herald, 21 January 1919, p. 6; Medical — Health — Troops on transports — Returning with invalids, AD1 982 49/467 [a], ANZ. 2 For a full account of the embarkation arrangements and the vessels involved, see A. D. Carbery, The New Zealand Medical Service in the Great War, 1914–1918 (Auckland: Whitcombe & Tombs, 1924), pp. 494ff. 3 New Zealand Herald, 21 January 1919, p. 6. 4 ‘The 1918 flu pandemic’, https://nzhistory.govt.nz/culture/influenza-pandemic-1918 (Ministry for Culture and Heritage), updated 26-Jan-2018. 5 Laura Spinney, Pale Rider: The Spanish Flu of 1918 and How it Changed the World (London: Jonathan Cape, 2017), p. 4. Note that Marcus Hansen called it yellow fever on 23 August, and on the 29th, ‘African fever of some sort’, ‘A Soldier’s Diary’, Pvt. Marcus Christian Hansen (Rifleman), Regt. No. 74744, Company: SPEC, 40th Reinforcements 1918/19, Transcribed by John W. Hansen (grandson), http://www. aucklandmuseum.com/war-memorial/online-cenotaph/record, accessed 7 February 2018. 6 Kai Tiaki, October 1918, p. 209. Tubman’s brother Reynold had been killed at Passchendaele. 7 Hansen, ‘A Soldier’s Diary’. 8 Kai Tiaki, January 1919, pp. 15–17. 9 Geoffrey W. Rice, Black November: The 1918 Influenza Pandemic in New Zealand (Christchurch: Canterbury University Press, 2005, rev. edn, 1st pub. 1988), p. 57. 10 Bertha Emily Taylor, Letters and journal, MS-Papers-1291, ATL, p. 29; Kai Tiaki, January 1919, pp. 4, 8. 11 Chrissie Ward (ed. ), Dear Lizzie: A New Zealand Soldier Writes From the Battlefields of World War One (Auckland: HarperCollins, 2000), p. 133. As Geoffrey Rice notes, ‘Though there were many more hospital beds than in peacetime, military hospitals were geared to treating wounds rather than infectious diseases. For example, it was difficult to isolate cases in the overcrowded and desperately busy hospitals in France.’ Black November, p. 43. 12 Taylor letters and journal, p. 34. 13 Kai Tiaki, January 1919, p. 7. 14 Kai Tiaki, April 1919, p. 61. 15 New Zealand Herald, 7 February 1920, supplement, p. 1. 16 Kai Tiaki, April 1919, p. 63. 17 Rice, Black November, p. 71. 19 Ibid., pp. 95, 122, 123, 147. 20 Ibid., pp. 135, 149. 22 Ibid., p. 211; Carbery, Medical Service, p. 507. Rice puts the death toll at 281, Carbery at 287. 23 Allan Leslie Christie file, 3/2915, ANZ; John Bonwell Sale file, 3/4316, ANZ. 24 Letter from Featherston Camp CO, 23 January 1919, William Bey file, N/N, ANZ; Bertram Boock file, 3/2344, ANZ. 25 Frederick George Atyeo file, 3/130a, ANZ. 26 Kai Tiaki, January 1919, pp. 10, 45. 27 William Fergus Paterson file, 3/4277, ANZ. 28 11 November 1918, Fanny Helena Speedy diaries, MS-Papers-1703, ATL; Louisa Higginson, Diaries transcribed by Mrs R. L. Wilson, MS-Papers-2477, ATL, Book 2, p. 12. 29 Carbery, Medical Service, p. 514. For the NZMC and the NZANS, final demobilisation had largely been achieved by the end of April 1920, but that year the medical personnel retained by the Defence Department were transferred to a newly created New Zealand Army Medical Department (and paid at the same rate). Almost all the 40 medical officers in the NZAMD, and almost half the 459 NCOs and men, had served overseas. There were also 210 nurses still working. 30 Carbery, Medical Service, p. 503; Imelda Bargas and Tim Shoebridge, New Zealand’s First World War Heritage (Auckland and Wollombi: Exisle, 2015), pp. 200–1. 31 Carbery, Medical Service, p. 509. 32 Clifford Collingwood, Diary and Scrapbook: New Zealand, Egypt & Western Front — WW1, 2007.139, NAM. 33 Evening Post, 13 April 1916, p. 7. 34 New Zealand Herald, 6 October 1916, p. 9. 35 Bargas and Shoebridge, First World War Heritage, p. 200; Carbery, Medical Service, pp. 510–11. 36 Carbery, Medical Service, p. 505. 37 New Zealand Herald, 18 April 1917, p. 8. 38 Frederick James Foote, ‘Yesteryears’, Reminiscences, MS 2007/9, NAM, p. 301. 39 New Zealand Herald, 14 July 1919, p. 4. 40 Kai Tiaki, January 1919, p. 43. 41 Carbery, Medical Service, p. 511. The extended hospital took all the patients from the Military Annexe at Auckland. 42 Sun, 3 June 1916, p. 3. 44 Evening Post, 26 June 1916, p. 3. 45 Bargas and Shoebridge, First World War Heritage, p. 206. 46 Tim Shoebridge, ‘Repatriation of Returned Servicemen’, https://nzhistory.govt.nz/files/documents/ public-service-at-war-articles-footnoted.pdf, p. 77, accessed 29 November 2017. Although most of the sick and injured had been discharged from the military hospital system by 1921, and the hospitals were reassigned to the Health Department in 1921 and 1922, soldiers continued to be treated ‘in their capacity as private citizens’. 47 Allan Marriott, Mud Beneath My Boots: A Poignant Memoir of the Effects of War on a Young New Zealander (Auckland: HarperCollins, 2005), pp. 196–8. 48 Foote, ‘Yesteryears’, p. 302. 50 Nick Wilson, Jennifer A. Summers, Michael G. Baker, George Thomson and Glyn Harper, ‘Fatal Injury Epidemiology Among New Zealand Military Forces in the First World War’, New Zealand Medical Journal, 1 November 2013, vol. 126, no. 1385, p. 21. 51 Marina Larsson, Shattered Anzacs: Living With the Scars of War (Sydney: University of New South Wales Press, 2009), pp. 22, 24, 72–3. 52 Coralie Clarkson, ‘The Reality of Return: Exploring the Experiences of World War One Soldiers After Their Return to New Zealand’, MA thesis, History, Victoria University of Wellington, 2011, p. 189. Clarkson speaks of the added burden, for sufferers, of phthisiophobia — the fear of tuberculosis. 53 Larsson, Shattered Anzacs, p. 183. 54 New Zealand Herald, 21 January 1919, p. 6. 55 Allen to Parkes, 10 September 1918, Ministerial Files — Correspondence with Colonel Parkes, Allen 1, 3 M1/34, ANZ. 56 http://www.wairarapa100.co.nz/tauherenikau-military-camp#more-414, accessed 29 November 2017. 57 Jane Tolerton, An Awfully Big Adventure: New Zealand World War One Veterans Tell Their Stories (Auckland: Penguin, 2013), p. 270. 58 Tim Shoebridge, ‘Repatriation of Returned Servicemen’, https://nzhistory.govt.nz/files/documents/ public-service-at-war-articles-footnoted.pdf, p. 77, accessed 29 November 2017. 59 Elizabeth Anne Walker, ‘“The Living Death”: The Repatriation Experience of New Zealand’s Disabled Great War Servicemen’, MA thesis, History, Victoria University of Wellington, 2013, pp. 8–9, 34–5. 61 Social Assistance Chronology 1844–2013: A historical summary of social security benefits, war pensions, retirement pensions, taxation measures, family assistance, housing, student support and labour market programmes (as at May 2013), http://www.msd.govt.nz/documents/about-msd-and-our-work/about-msd/history/social-assistance-chronology-1844-2013.pdf, accessed 15 November 2017. 63 War Pensions Amendment Act, Third Schedule. Pensions Payable for Specific Injuries. 64 Roland Scott Bremner file, 23476, ANZ. 65 Social Assistance Chronology; Walker, ‘Living Death’, p. 50. 66 Tolerton, Awfully Big Adventure, p. 273. 67 Evening Star, 3 July 1917, p. 7. 68 Letter Edith J. Austen to Hester Maclean, 20 April 1919, letter Mary Grigor to Hester Maclean, 30 May 1919, Boarding & Treatment of Nurses, AD 1 48/858, ANZ. 69 Russell Clarke, ‘“Not Mad, But Very Ill”: The Treatment of New Zealand’s Shellshocked Soldiers 1914 to 1939’, MA thesis, University of Auckland, 1991, pp. 36–7. 70 Shoebridge, ‘Repatriation of Returned Servicemen’, https://nzhistory.govt.nz/files/documents/public-service-at-war-articles-footnoted.pdf, p. 80, accessed 29 November 2017. 71 Carbery, Medical Service, p. 517. 72 Kai Tiaki, 1 January 1920, p. 17. 73 Letter 7 August 1915, Charles Ernest Thomas, Letters, 2015/106, South Canterbury Museum. 74 Press, 11 January 1923, p. 7. 75 Northern Advocate, 11 October 1919, p. 4. 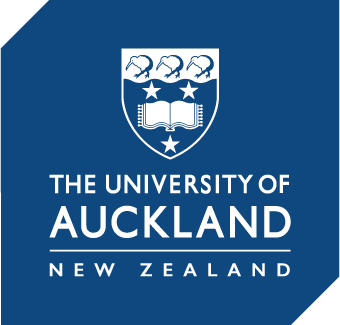 76 Jan Rodgers, ‘“A Paradox of Power and Marginality”: New Zealand Nurses’ Professional Campaign During War, 1900–1920’, PhD thesis, History, Massey University, 1994, Chapter 10. 77 New Zealand Herald, 29 May 1918, p. 8. 78 Star, 7 May 1917, p. 6; William George Charles Smith file, 17/248, ANZ; Charles Raymond Neale file, 17/294, ANZ. 79 William McAra file, 3/529, ANZ. 80 8 August 1915, Diary of William McAra, Gallipoli, June–December 1915, MS-2943/002, Hocken. 81 Peter Gulland Hume file, 3/446a, ANZ. 82 Gladys Violet Luxford, ‘How I came to be interested in war and why I went to World War One’, MS 94/6, AWMM, p. 6. 83 After six months of consecutive duty in a hospital or on a transport or hospital ship, they were eligible, like the soldiers, for three weeks’ leave and a railway pass that gave them free travel, Orders (Standing) Nursing Service, AD 1 51/34, ANZ; Hester Maclean, Nursing in New Zealand: History and Reminiscences (Wellington: Tolan Printing Company, 1932), p. 232. 84 Cora Beattie Anderson file, 22/12, ANZ. 85 Jan Rodgers, ‘Thurston, Mabel’, Dictionary of New Zealand Biography, first published in 1996. Te Ara — the Encyclopedia of New Zealand, https://teara.govt.nz/en/biographies/3t36/thurston-mabel, accessed 13 December 2017. 86 Allen to Godley, 10 July 1920, Ministerial Files — Correspondence with General Godley, Allen1 2, M1/15, Part 6 28/1/20, ANZ. 87 Kai Tiaki, January 1919, p. 11. 88 Ashley Gould, ‘Soldier Settlement’, in Ian McGibbon (ed. ), The Oxford Companion to New Zealand Military History (Auckland: Oxford University Press, 2000), p. 501. 89 Dominion, 7 November 1919, p. 9. 90 Kai Tiaki, January 1920, p. 49, July 1920, p. 159. 91 Rodgers, ‘Paradox’, Chapter 10; New Zealand Herald, 15 August 1925, p. 13. 92 New Zealand Herald, 11 March 1919, p. 5. 93 Honours and Awards for Messines June 1917, Medical Corps Memoranda — Precis of Events in France, 11 April 1916–10 June 1917, WA10 19, 10/6/10, ANZ. A full awards list appears in Carbery, Medical Service, pp. 526–30. 94 For a full list see Sherayl McNabb, 100 Years New Zealand Military Nursing: New Zealand Army Nursing Service — Royal New Zealand Nursing Corps 1915–2015 (Wairoa: author, 2015), pp. 484–6. 95 Carbery, Medical Service, gives an NZMC honour roll on pp. 521–5. 96 McNabb, 100 Years, p. 188. 97 Leo van Bergen, Before My Helpless Sight: Suffering, Dying and Military Medicine on the Western Front, 1914–1918 (Surrey: Ashgate, 2009), p. 407. Extract from Rogers, Anna, With Them Through Hell, 2018, Massey University Press, Auckland. Anna Rogers is a freelance author and book editor.